Knife Switches; Pulleys for Electricity; Physics Experiments. Our Knife Switches give you full control over low current electrical circuit experiments, and our Single & Multi Pulley Systems help you illustrate the laws of physics and gravity in simple machinery. Knife Switches feature safe, sturdy construction to protect students and withstand years of experiments. 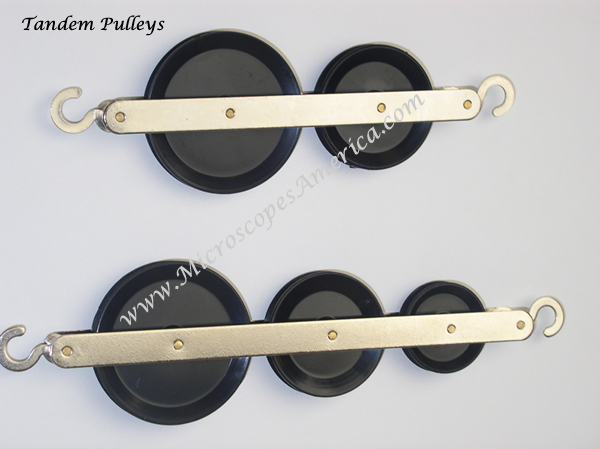 Pulley Sets feature strong hooks and provide smooth, low-maintenance operation. • Brass pole and blades mounted on plastic base. • Screw type terminal for low voltage, will not clip or break. • Great tool for demonstrating the use of simple machines to make work easier. 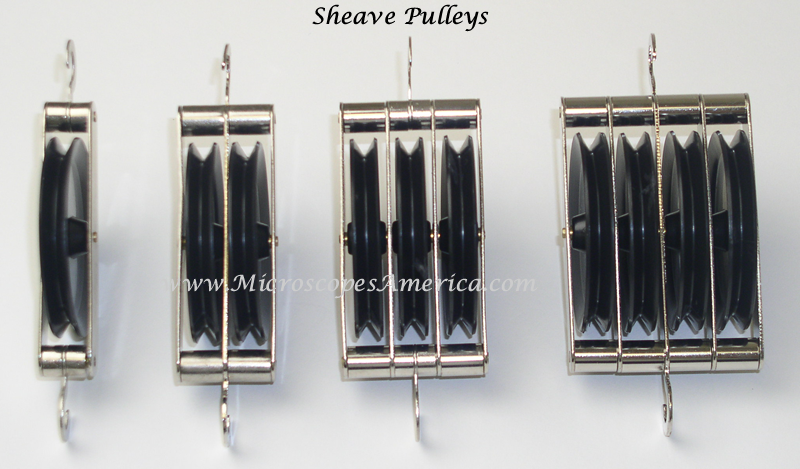 • Black plastic with sturdy hooks at top and bottom. • 50 mm (about 2") diameter. • Available in single, double, triple, or quadruple pulley systems. • 97-1204: Double, 38 and 50mm diameter. • 97-1205: Triple, 29, 38 & 50mm diameter.